Andrade “Cien” Almas w/ Zelina Vega VS Fabian Aichner; Almas wins. The Authors of Pain w/ Paul Ellering VS Danny Burch & Oney Lorcan; Authors of Pain win. 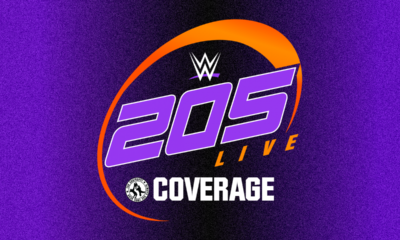 WWE Network Exclusive: Peyton Royce w/ Billie Kay VS Ember Moon; Ember wins. 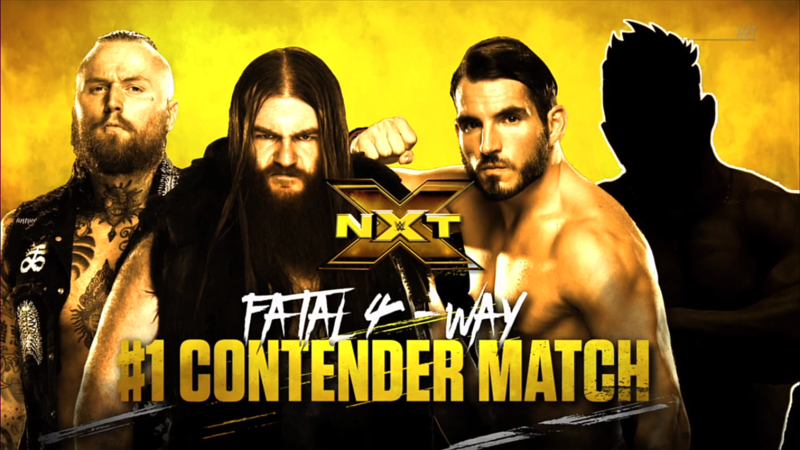 NXT Championship #1 Contender Series: Aleister Black VS Adam Cole; Black wins and advances to the #1 Contender Fatal 4 Way. NXT has a new landscape. El Idolo became El Campeon, but The Celtic Colossus fell injured. Therefore, NXT General Manager William Regal created a contender series to determine who would face Andrade “Cien” Almas at TakeOver: Philadelphia. Trent Seven fell to “Big Damo” Killian Dain in the first, then Johnny Wrestling went to the limit with Kassius Ohno to be the second. We are halfway there, who will be next to join the Fatal 4 Way? 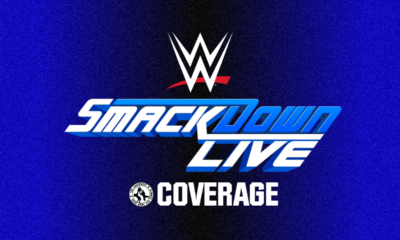 Andrade “Cien” Almas w/ Zelina Vega VS Fabian Aichner! El Idolo has always been extremely confident, but now Almas is even more so now that he has the NXT Championship. He won’t sit on his hands, either, he wants to keep his skills warm, so he looks to use the Italian Tank as that warm-up. Aichner also has a major opportunity tonight, can he reach the #NXTLVL? The bell rings, Almas blasts Aichner with a dropkick! Almas embraces the heat, but runs right into a tilt-o-whirl backbreaker. Almas slips out of the ring, Aichner runs and FLIES! Aichner wipes Almas out and is fired up as he puts Almas back in the ring. Springboard Tornado DDT! TWO, Zelina is worried for her champion client. Aichner keeps on Almas with stomps, the ref back shim off, Almas gives a sharp chop to Aichner’s chest! Almas whips, jumps, but is caught. He fights out, but Aichner gets him again for a stiff powerbomb. High stack pin, TWO! Zelina is furious, she distracts Aichner as he goes up top, Almas knocks him to the ground. Almas throws Aichner into steel steps, then back into the ring. Zelina tells him to finish, Almas finishes, Hammerlock DDT, aka Cien Headaches! Almas wins! His arrogance still shines through, will he still be confident come Philadelphia? 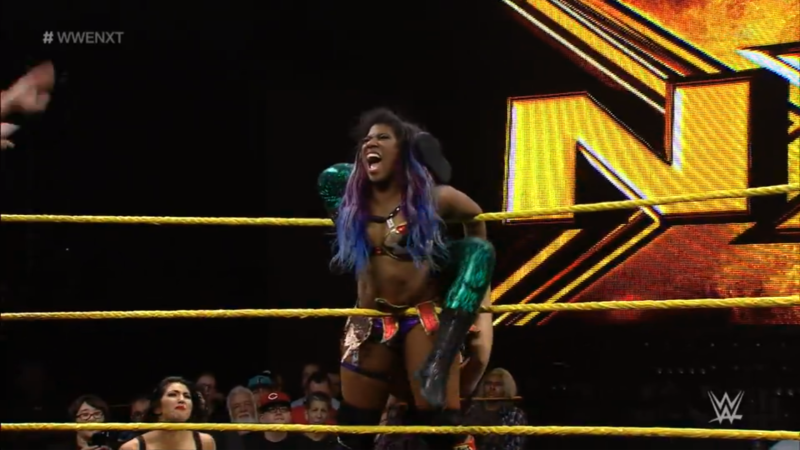 NXT takes a look at Ember Moon’s journey to the title. The Prophecy of Flame came to NXT with mystery and hype, and she lived up to it, until running into The Empress of Tomorrow. Ember was the future, but for the longest time, the present was Asuka. She wanted to be champion so badly, and she challenged Asuka two times before, only to fail. Ember got a third chance at NXT TakeOver: WarGames in a Fatal 4 Way for the vacated Women’s Championship. She hit a 2-for-1 Eclipse, and finally had her moment! Best of all, Asuka was the one to hand her the title belt, bringing Ember’s path full circle. Can Ember fulfill the next phase of her rise by becoming one of the greatest NXT Women’s Champions ever? NXT takes a look at Aleister Black. The Embodiment of the End defeated opponent after opponent, from Hideo Itami to The Velveteen Dream, and even Andrade “Cien” Almas, the current NXT Champion. Aleister strikes hard and fast, can he make Adam Cole #FadeToBlack in their main event match? 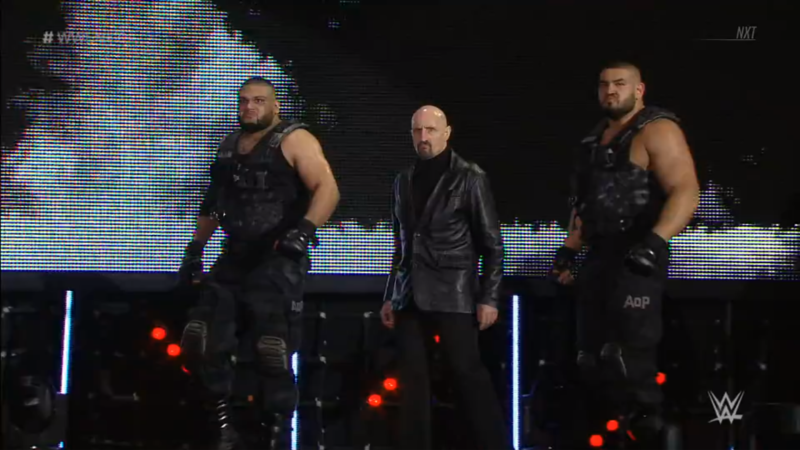 The Authors of Pain w/ Paul Ellering VS Danny Burch & Oney Lorcan! NXT’s most dominant team takes on one of NXT’s newest, as the “double tough” Boston Brawler and British Brawler return to test themselves against Akam & Rezar. Burch and Akam start, Akam powers Burch to a corner but Burch uses European Uppercuts to fight his way out. Lorcan tags in, Akam runs Burch over but Lorcan unloads chops on Akam. Lorcan backs Akam down, Rezar comes in, Lorcan is ready for him with even more chops! And slaps! 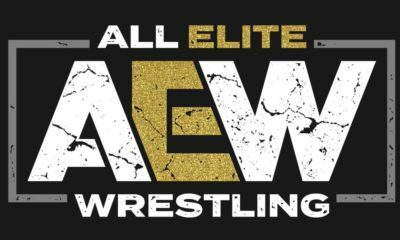 Akam gets slaps, Burch goes after Rezar, the Authors of Pain are cornered! Lorcan & Burch deliver chop after chop after chop, then run to bump off each other before giving running EuroUppers! They repeat, bump to EuroUppers, and again, but then clobbered on the third try. Akam lifts Lorcan in a fireman’s carry, to Death Valley Driver Lorcan into buckles! The Authors lift both men up, Super Collider! The Authors finish Lorcan with the Last Chapter! Akam covers, The Authors of Pain win! They’re still big, they’re still powerful, and they’re still dominant, when will they get a second chance at the NXT Tag Team Championships? NXT looks back on the rise of the WWE UK Division’s two biggest stars. The WWE founded the UK Division with a tournament back in January, pitting some of the greatest wrestlers from across the pond against each other. The tournament finals pitted Bruiserweight, Pete Dunne, against the youngest wrestler in the tournament, Tyler Bate. 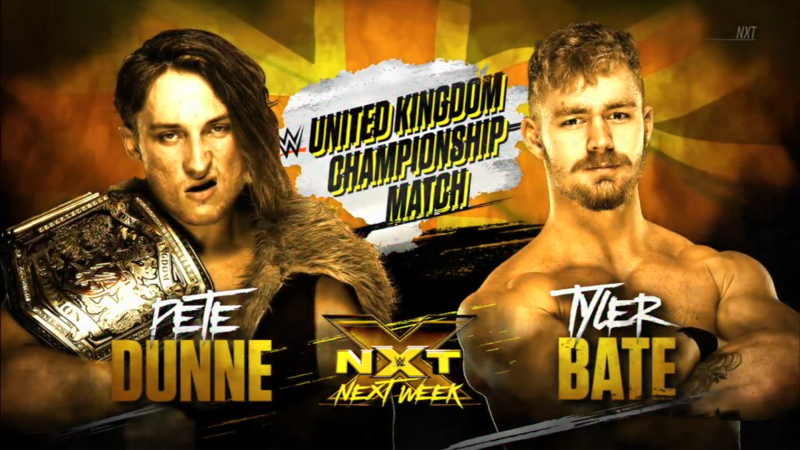 Dunne and Bate put on the best match of the entire tournament, but it was the younger Bate that came out the inaugural WWE UK Champion! Dunne would fight his way to the top and become #1 contender, and in an epic rematch from the UK Tournament, Dunne would win the title from Bate to become the second ever UK Champion! The Bruiserweight has kept hold of that title through several defenses, even besting Bate’s mentor, Trent Seven. Bate himself has fought his way back to being the #1 contender, and next week, we will see the third encounter between these two incredible British Strong Style wrestlers. Who will come out the champion after this highly-anticipated tie-breaker? SAnitY shows the scars of battle. 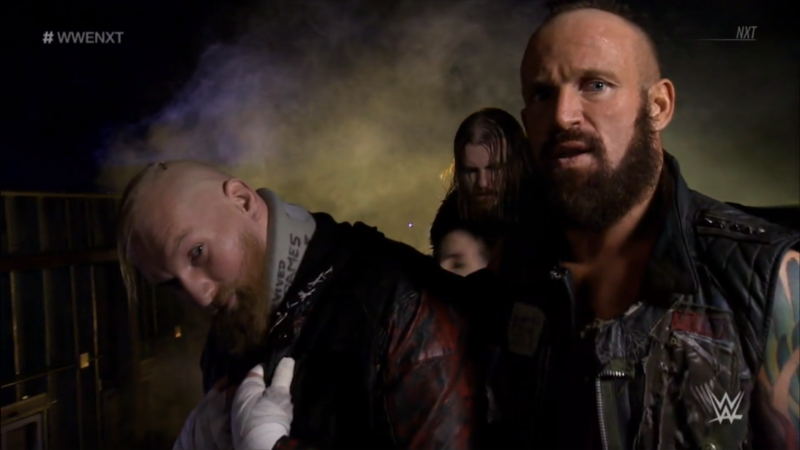 The NXT Tag Team Champions know a lot about scars, restless nights and unfinished business. WarGames was everything they thought it would be, except for the outcome. However, SAnitY has not left the battle! They are still here. Next week, SAnitY will finish what started in Houston. Will the Undisputed Era survive? NXT Women’s Division: Shayna Baszler is coming. Everyone has been warned, but who will still fall to the Queen of Spades upon her arrival? 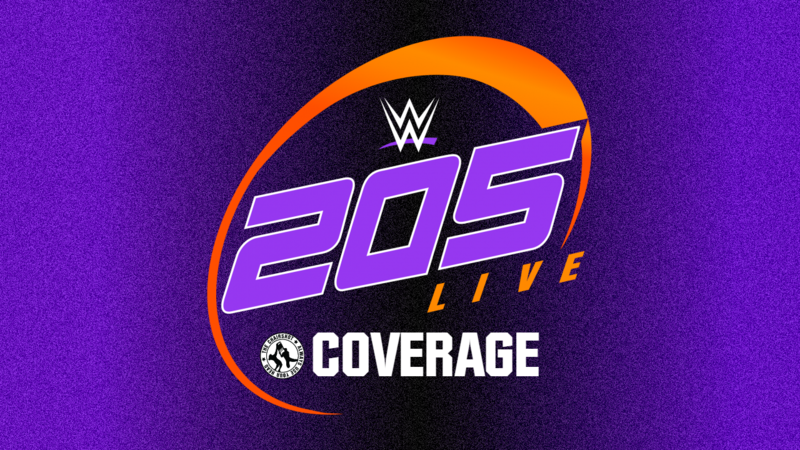 WWE Network Exclusive: Peyton Royce w/ Billie Kay VS Ember Moon! The Prophecy of Flame finally became NXT Women’s Champion, but she is not without her detractors. The Iconic Duo both feel they can defeat her, but the first to try is the Venus Flytrap! Will she be Eclipsed once again? The bell rings, the two circle and tie up. Peyton gives Ember a knee and a forearm and even a stomp, then brings her up, Ember retaliates with a forearm only to get another knee. Peyton whips Ember, Ember springboards up and over then ducks the heel kick to give one of her own. The kick is blocked, but Ember improvises into a headscissors. The Iconic Duo regroups on the outside, Ember climbs up top, and JUMPS onto them both! Ember topples Billie & Peyton over, the fans cheer as the referee counts. Ember puts Peyton in the ring but Billie anchors the NXT Women’s Champion at the apron. Billie is kicked away but Peyton gives Ember a 619 to the back! Peyton uses the ropes to help out in her hanging motorcycle stretch! Billie trash talks Ember as the referee counts, we go to break. NXT returns, fans rally and Ember feeds off the energy to fight out of Peyton’s chinlock with an armdrag. Peyton kicks Ember down again, then lets Ember know “I hate you!” Billie feels the same way, Ember responds with a kick to Peyton’s stomach. Ember kicks more, more, then enziguri knocks Peyton down! Cover, TWO! Billie is relieved but Peyton is dazed, Ember keeps on her but then gets rolled up, TWO. Ember rocks Peyton with an uppercut! She puts Peyton in the double underhook but Peyton resists, spins out and breaks. Peyton whips and gives a back elbow, stiff forearm and back kick. Peyton reels Ember in for a knee, sits for the cover, TWO! The Iconic Duo is furious. The fans duel as Billie tells Peyton to finish it. Peyton goes for the fisherman but Ember fights out and backs her to a corner. Peyton turns it around to then club away on Ember’s back. Ember shoves Peyton away, ducks the heel kick and lifts Peyton, but Peyton grabs the ropes to prevent it. Peyton refuses to let go, so Ember slips out to kick out Peyton’s leg, Peyton hangs on on but Ember brings her down with a jumping stomp! Ember yanks Peyton out of the corner, climbs up to the top, and everyone from fans to Billie knows what’s coming. ECLIPSE! The NXT Women’s Champion defeated of one half of the Iconic Duo, but the other half runs her over with a boot! Billie throws heavy hands on Ember over and over, fans are actually liking this fire. The Iconic Duo brings Ember up, and into the Iconic Buster! They continue the beating with more stomps and trash talk. Nikki Cross appears to save Ember!? 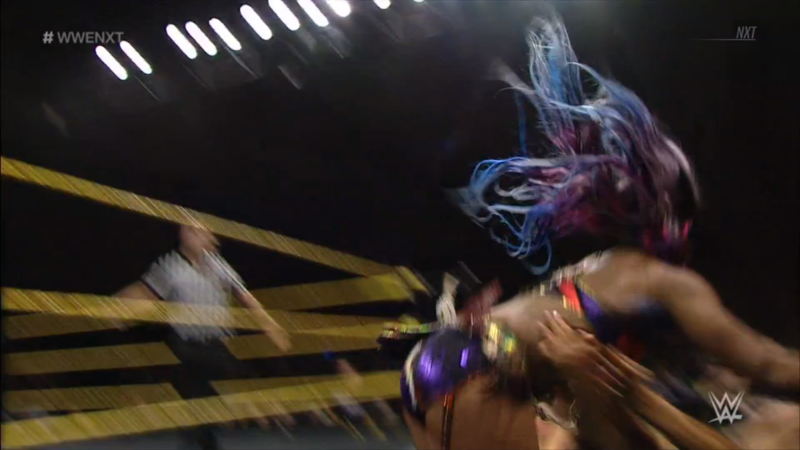 Crazy Cross goes right at Billie, Peyton yanks her off but just gets tackled herself. Billie runs away, Peyton retreats as well, fans cheer on Nikki as she thrashes and shrieks. Nikki locks eyes on the prize, as well as the champion who holds it. Fans chant “Thank you, Nikki!” but Nikki is only thinking of the coveted title. Nikki runs around the ring like the mad woman she is, before frantically fleeing the scene. Nikki is not all there, but one thing is clear: everyone wants a piece of the champion. Can Ember keep her reign alive now that she’s the center of attention? 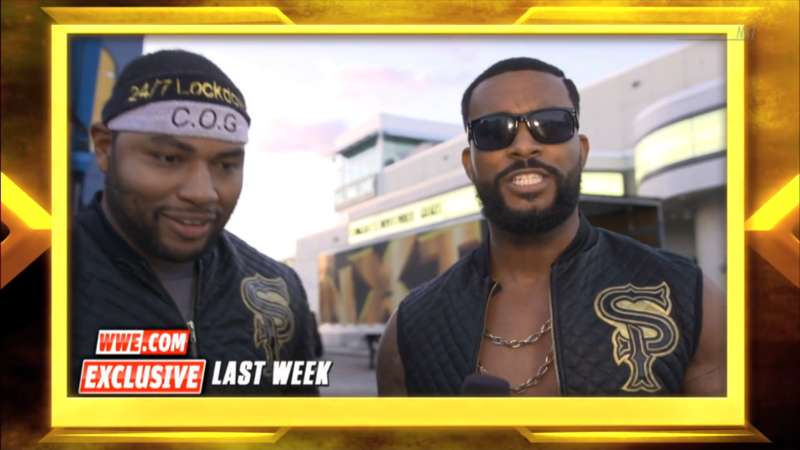 The Street Profits debut NXT’s first ever talk show: Street Talk. NXT Championship #1 Contender Series: Aleister Black VS Adam Cole! The Embodiment of the End has torn an undefeated streak through NXT worthy of the championship, but the leader of the Undisputed Era continues to #ShockTheSystem. Which man will overcome the other to join Johnny Wrestling and Big Damo in the coming Fatal 4 Way? The two stand up, tie up, standing switch but snapmare from Cole. Cole slaps Aleister’s head and arrogantly grins, “BAYBAY!” Aleister keeps focus, he and Cole tie up, Aleister powers out of the headlock to throw Cole down. Cole swings, Aleister blocks and then drives in knees and a strike fest! Cole gets out of the ring, Aleister sits down and waits, we go to break. NXT returns, Cole reverses Aleister into a Crossface submission! Cole shouts for Aleister to tap, fans shout “NO! NO!” Aleister endures, fans rally, Aleister crawls and reaches ropes for the break! Cole lets go at 4, then stomps away on Aleister. “Why don’t you stay down? 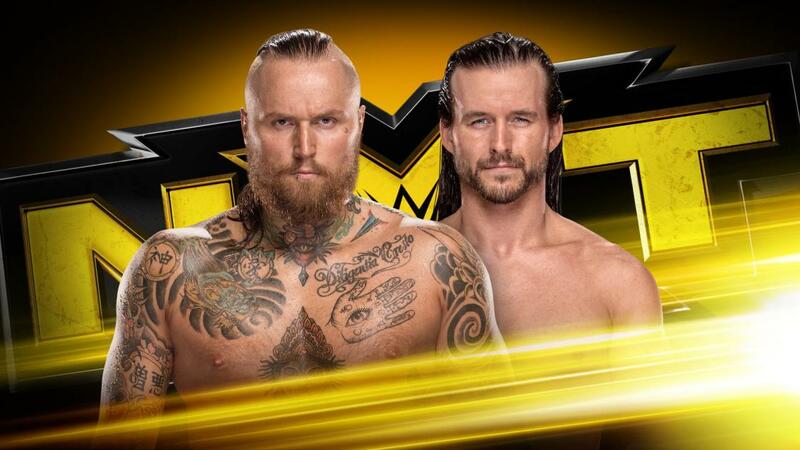 !” Cole drags Aleister up for a forearm, saying “you’ll never be me!” He stomps Aleister more, “do you know who I am?” He’s Adam Cole BAYBAY! Aleister stares right into Cole’s eyes as he stands up. Cole’s kick is blocked, Aleister unleashes kicks of his own before rallying with forearms, a sweep and a running knee. Aleister handsprings up before giving a big forearm smash. He whips Cole corner to corner, then runs to the ropes to springboard for the QUEBRADA! Aleister watches Cole get up, Cole gets out before Black Mass. 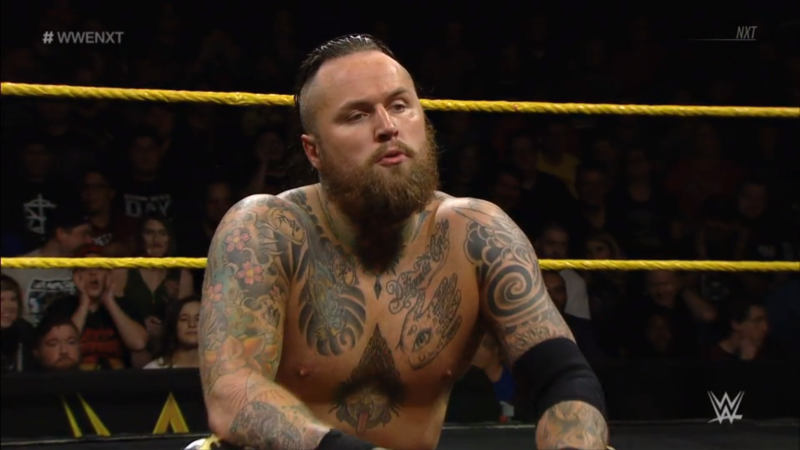 Cole shoulders in but gets a kick, but Cole hotshots Aleister back. Cole goes top rope, but flies into a roundhouse! TWO! Aleister keeps focus, he looms over Cole and lifts his head up with his foot. Cole hits an enziguri, then a Back Stabber! TWO! Fans chant for “NXT! NXT!” as Cole brings Aleister up into a fireman’s carry. Aleister slips out, Cole bucks him off, Shining Wizard intercepted. They brawl with forearms and European Uppercuts, Cole boots and SUPERKICKS but Aleister victory rolls, TWO! Cole gets the fireman’s carry, Ushigoroshi! TWO! Fans love this, even if Cole is frustrated. Cole keeps his eyes on Aleister as he gets to a corner, fans rally as he stands up and takes aim. Aleister stands up, SUPERKICK blocked, he spins Cole around into a stiff knee strike! He lifts Cole’s head again, Cole dares him to do it, BLACK MASS!! Aleister wins! He did it to Cole tonight, can Aleister make all the other men in the Fatal 4 Way #FadeToBlack? This was a unique experience for NXT viewers, since NXT was aired one way on the USA Network and another way on the WWE Network. If NXT is going to be trimmed down because of commercials limiting it when it’s already a one-hour program, that is reason enough for me to not want NXT on television full-time. The time constraint explains why the first two matches happened so quickly, though. Almas defeats Aichner and Authors defeat Lorcan-Burch fast, making them perfect for building the first half-hour. 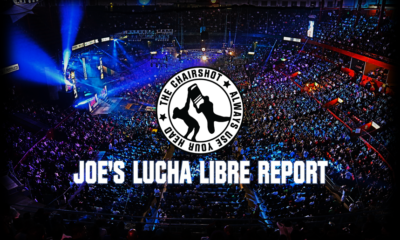 The stories in those matches were still great, as Almas just manages to keep his ego from costing him against a midcard talent, and the Authors turn the tide on the impressive underdogs at an opportune moment. Aleister-Cole was a great match for the second half hour, but given what both men are capable of, even this match felt like it was made to fit within the time constraints. It still had great story elements, such as Cole’s arrogance throughout, but Aleister staying calm and collected. Aleister goes over because, well, he’s Aleister. His undefeated streak isn’t going to end so soon, and he finally gets this close to the NXT Championship after being spotless for so long. The Women’s Division match was a Network Exclusive, and a great one at that. Ember, Peyton and Billie put in great character work, The Iconic Duo truly is a top Heel combination in all of WWE’s Women’s Division. Ember wins because the new champion can’t look weak so soon, but it makes sense a 2v1 situation would be too much for her. Nikki maintains a Tweener position in the Division with her save, much like the short time with Ruby Riott against the Iconic Duo. Nikki wants the title like anyone else, but she wants to be the one to do the damage herself, and would make a great choice as the woman to ruin Ember’s dream. I feel it could happen as soon as TakeOver: Philadelphia and it’d be acceptable to most fans.